I have been a runner for about 20 years now. I first started when I was smoking and weighed about 40 pounds more than I do now. I began by taking our English Spring Spaniel, Penny, to the local school yard, where we would alternate running and walking around the soccer field. I loved it and hated it at the same time. Eventually I quit smoking, lost that weight, and Penny went to doggie-Heaven. A couple of years later, I was blessed with a wonderful gift of an English Springer Spaniel puppy I called Scout, for my birthday in 1999, from my husband (aka The Captain). When she was old enough, she became my running buddy. We ran many miles together, wherever we travelled, and she ran happily with me and The Captain for more than 7 years till she passed away in the Spring of 2007. I know The Captain's love, and running kept me and from dying too, of a broken heart. I have always done a run/walk combination, usually 9 minutes running/1 minute walking, but that has varied from time to time. I am not fast, and I don't care. I just love to run. Don't call me a jogger. I am a runner. I used to keep all my running logs and compare my mileage from year to year. I don't do that anymore, but I do keep a log of all my workouts, for the current year, but then toss it out when a new calendar year begins. Over the years my interest in running has varied from intense, to somewhat indifferent; my regular distances have gone from 3 or 4 kilometers to 14 or 15 and back. Yet, I have never given it up altogether, and for some reason, the older I get, the more important it is for me to think of myself as a runner... therefore I have to keep running. In the winter, the runs get shorter, and less frequent as well. This winter has been an unusually 'runless' season. I did a few short runs in Janufary and then I had eye surgery in February, on both eyes and had to curtail my workouts for about 8 weeks.. walking was acceptable, but nothing more strenuous than that. No bending over, no lifting, no impact; nothing that would increase the pressure in my eyes. I was faithful in my adherence to these rules. On Thursday, March 31st, I got the go-ahead from my eye doctor to start running and working out again. I was so happy! Friday, April 1st was a cold day with a raw wind and rain. I moped all day cause I couldn't go outside to run. Saturday, April 2nd was much nicer. I laced up my running shoes, put on my running watch and headed outside, Husband in tow, and managed a 2 minute walk before I started to run.... too fast... and even though I had only mapped out a 2.3 km route, I couldn't complete it. I was sucking so much air I thought I might be sick. Defeated, I even forgot about stretching when we got back indoors. But not to be kept down, I insisted we head out again on Sunday, and I did complete the 2.3 km route, although very slowly and with a 5/1 run/walk pace. I was ecstatic! 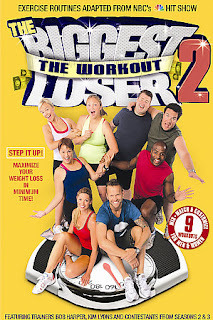 I decided not to try to do too much too soon, so on Monday I did a Cardio Max DVD workout, completing the warm up, levels 1 and 3, and the cool down. Love the cool down and yoga stretches in this workout. 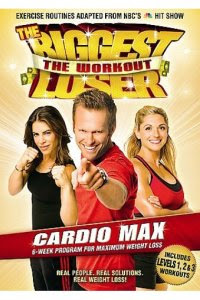 On Tuesday I got out my Biggest Loser 2 DVD and did the warm up, functional flexibility, power sculpt for women, power sculpt for men and the cool down. We ran the same 2.3 km route on Wednesday, April 6th, this time at a 6/1 run/walk pace. It felt so much easier and my lungs didn't burn and I was not sucking air to complete the short distance. On Thursday I did two walks, one with The Captain. And on Friday, we walked again. On Saturday, April 9th I decided to add a large city block to the route, bringing it to 3.0 km. We used the 6/1 walk run pace again, and completed it in 22 minutes. Not bad. Not bad. On Sunday I walked and then did about an hour's gardening... raking and picking leaves. 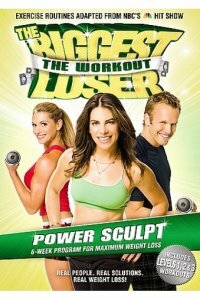 On Tuesday I did a Power Sculpt DVD workout.... warm, level 1 and cool. I don't like the cool down on this DVD so I improvise while Jillian talks. I stretch the same muscles as she does, but I don't use the same techniques. Later, I did another hour's gardening. On Wednesday, April 13th, yesterday, we ran the same 3.0 km route. We ran it in 21 minutes using a 7/1 walk run pace. I was quite happy with that time as that brings me to a 7 minute km again and that is pretty decent for me. The Captain can always run faster and farther than I can, but he really doesn't care about running at all, and only goes to keep me company. Today, Thursday, I did another Power Sculpt DVD workout.... warm, levels 1 and 3, and the improvised cool down stretches. Level 3 has a section of pushups and planks that I cannot complete, or even come close to completing so I find it really challenging and worthwhile. On another note, we are getting ready to move to the boat for the summer, and so spent some time packing up canned and packaged foods today, to take and stow in the boat's lockers.